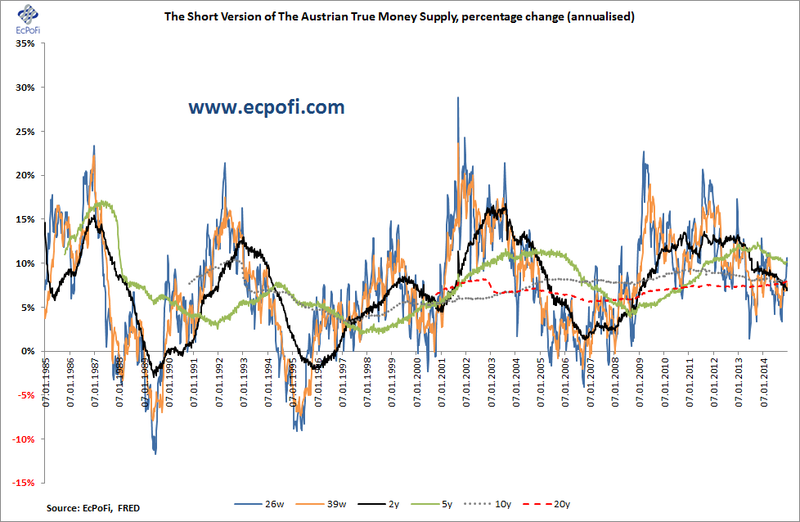 The short version of the Austrian True Money Supply for the U.S. increased 0.13% on last week for the week ending 29 December 2014. At $10.6147 trillion, a new high for the fifth consecutive week, the money supply is now up $731.4 billion, or 7.40%, year to date. The 1-year growth rate was again largely unchanged and ended the week on 7.40%, almost 100 basis points higher than same time last year. 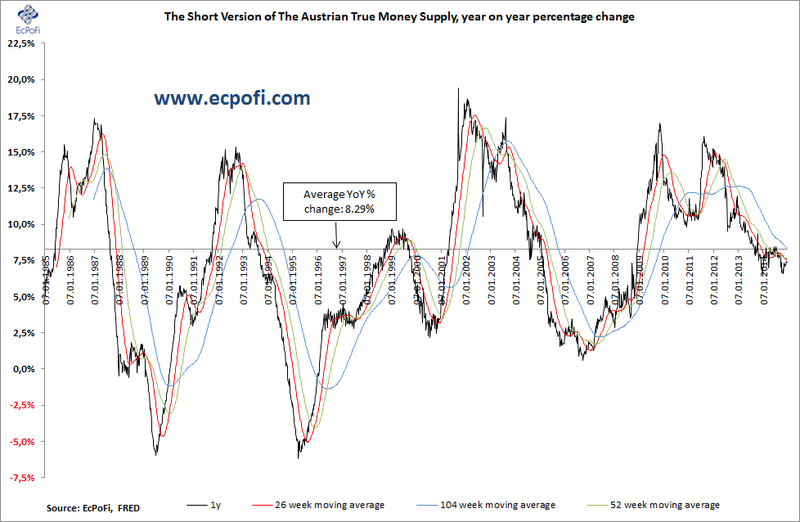 This was the third week in a row the money supply grew faster than last year, something which last happened during the first half of 2012. 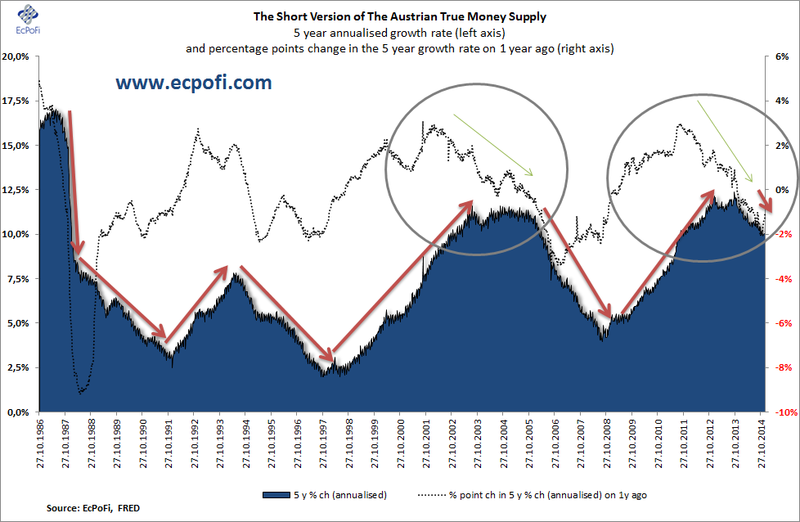 The 5-year annualised growth rate in the money supply came in at 10.13%, 106 basis points lower than last year. This was the 57th week in a row with a declining growth rate compared to a year earlier. 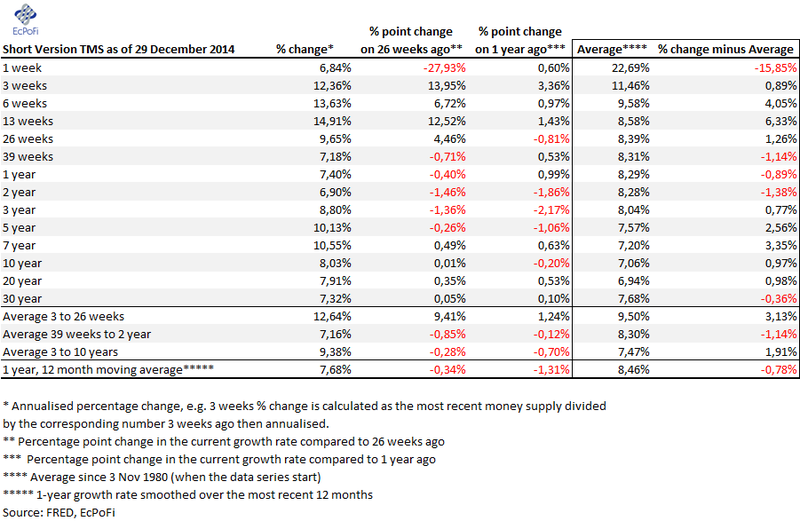 The final numbers for the year continue to show a general decline in the growth rate of the money supply. It has however improved in recent weeks and is not currently showing the rather steep declines compared to earlier periods we saw at the end of October and early November. It's still important to highlight however that the 1- and 5-year growth rates are significantly lower today than they were during 2011 to mid 2013.